How to ‘Profit’ from online Bingo? Bingo players have two great options when it comes to making money with their favorite game. We all know it’s a rare bird that can make big profits just playing the game of bingo. Today savvy players are entering the scene and finding unique ways to make money by promoting the game of online bingo. We all dream of earning money doing something we love. Well for some players that dream is quickly becoming a reality as they turn their favorite hobby into some nice cash rewards along the way. These players have found great success by taking advantage of ‘Refer a Friend’ solutions and ‘Bingo Affiliate Programs’. Refer A Friend – Pass it on! When you find a site you love to play on, it only makes sense that you would want to tell your family, friends and fellow bingo buddies about it. A common practice at most sites today is to pay players for referring their buddies to join the site and deposit money. Sometimes called Referral Programs, players get ‘paid’ a percentage of the deposits made by their buddies. Our research indicates that players with a good network of referrals can make anywhere from $50 – $250 a month in bonus bucks or even cash in some cases. Players like ‘Dreamtergtm’ favor simple and automated solutions offered at sites like, www.Bingos.com. “I think Bingos.com has the easiest sign up process I’ve seen”, says Dreamtergtm. Players at Bingos.com just have to enter their friend’s email into the system and the technology does the rest. The email goes out with associated registration information, current promotions and includes the players Referral ID. 1. Make sure you like the site you’re referring. Sounds simple enough, but don’t get caught up in some big bonus offer to refer your friends if you don’t truly love the site. If your friends appreciate the site you referred them to, they can be approached again the next time you find another good place to play. Make sure you read the rules and referral bonuses before sending your friends to a particular site. Some companies offer big cash incentives for the first deposit your friends make. However, that won’t do much for you in the long term if that player becomes a loyal and constant depositor at that site. We suggest you search for ‘lifetime/residual’ payment plans. They have lower percentages for revenue share but over time you can make more money and increase your time in your favorite games! If you can, only join programs that are fully automated. In other words, avoid solutions that force your friends to remember your Alias or some identity code in order for you to be compensated for their deposit activity. The best solution are sites that embed special coding in email links so that the minute your buddy clicks on this link you sent them, your name is forever associated with that referred player. Affiliate Programs – When you want to earn the big bucks! 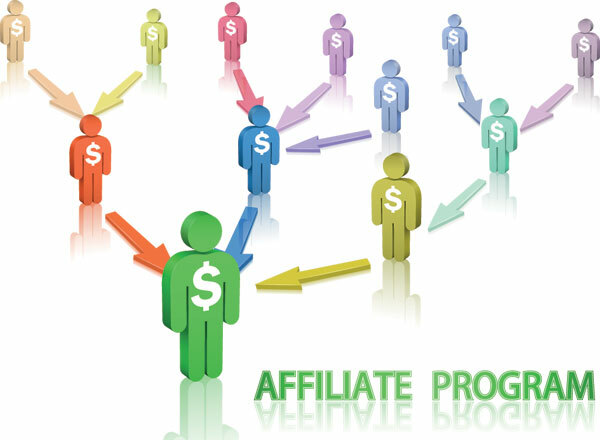 Affiliate Programs operate much differently than Refer A Friend solutions. Once you have a website, you can join one of many bingo affiliate programs. You can find them by going to your favorite bingo site and looking for a link usually called, ‘Webmasters’, ‘Affiliates’ or ‘Partners’. You can join these programs for free. You will get access to a range of banners and artwork that you need to upload to your website. When players visit your site and then click on these links they get taken to the main bingo site and you earn a percentage of deposits they make each time they visit that site. 1. Forget all the hype some sites preach. Focus on driving traffic to the sites you love to play at. If you like the bingo experience so will others and the affiliate business is all about ‘long term’ earnings not a quick buck. 2. Only work with affiliate programs that pay for the ‘Lifetime’ of player deposits. Sometimes called ‘Residual Programs’, these pay the best rates over time. 3. Use text links and ‘pop unders’ whenever possible. These outperform banners ten times over. Just building a site and putting up an affiliate banner will not take you very far. 4. Join programs that offer you ‘real time tracking’ so that you can see what your site is earning every day in real time. This will give you the best idea of how well you are doing in driving quality traffic to your bingo partner sites. Unfortunately this is where you need to do your math. Each and every bingo affiliate program has different revenue share terms. To make matters even more confusing they all pay a percentage of sales based on, ‘Net Revenue’. The problem is that each program defines Net Revenue differently so you have to read the fine print carefully. • You send a player to a site who then deposits $100 cash. Now the operator takes out up to 50% of this costs related to the operation including any player winnings. • So if you joined a program that advertises 40% Net Revenue share you would make (40% of the $50 in Net Revenue earnings or to be exact: $20). • So for every $100 your player deposits = $20 goes into your pocket. In general it is safe to expect a revenue share for the lifetime deposits of your traffic from 25 – 45%.